Papad is generally made from the lentils. Papad / pappadam is used to make this quick, spicy and tangy curry. This is generally made when one is out of vegetables and dals. Papad is broken is pieces and cooked in tempered oil till soft. This papad curry is generally served with steamed rice. Papad Ki Sabzi from Rajasthan in western India, is a great dish for when you're in a hurry but want a hot, cooked meal! Garam masala powder : 1/4 tsp. Break the papads into approximately 1" pieces and keep the aside. Take a bowl, add yogurt, turmeric powder, red chilli powder, cumin powder, garam masala powder and mix well. If your papad already is spicy, reduce the amount of masalas. Now, add broken papad pieces, mix well and add water for thin gravy. Cover and cook for 5 mins. Now, taste the gravy and add salt a little lesser than usual because the Papad contains some salt in it so after it is soaked it increases the salt. When it starts boiling remove the mixture from heat and garnish with coriander leaves. 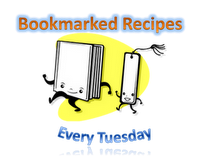 Sending this recipe to Priya's Bookmarked Recipes - "Every Tuesday Event (Volume 48)"